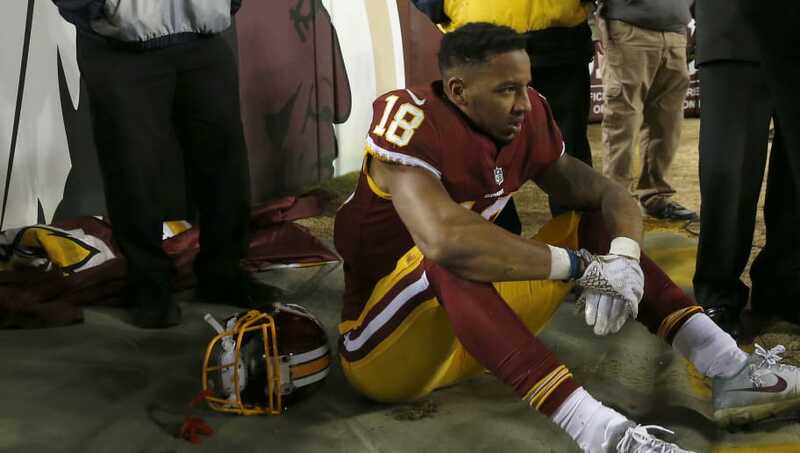 ​Josh Doctson of the Washington Redskins just cannot catch a break. According to reports, the wide receiver was shaken up after diving for a catch in the end zone during training camp on Wednesday. When he dove, cornerback Josh Norman landed on top of him, and Doctson immediately grabbed his left arm, walking off the field with trainers for further evaluation. ​​The team later announced that Doctson is undergoing tests and they will give an update on Thursday. ​​This could not have come at a worse possible time for both Doctson and Washington. The 25-year-old was turning heads at practices this summer with his speed and his chemistry with ​new quarterback Alex Smith. Many were left believing Doctson will finally have his breakout season in the NFL. Just this past season, Doctson posted 35 receptions for 502 yards and six touchdowns. That was his first full season, of course, as his rookie campaign was cut short due to an Achilles injury. Those statistics were expected to grow in 2018. But now for the Redskins and Doctson, it will be the waiting game to see if the left shoulder injury is significant, or whether it will keep him out for only a short period of time.